The majority of our Members in Lee, Collier and Charlotte Counties love their service from Home-Tech so much that they renew their Service Agreements year after year. Request an online Instant Quote for your new Service Agreement today. Enjoy the peace of mind of Home-Tech’s quality in-home service. No more worries about expensive repair bills. Convenience of 2 hour time frames for service! 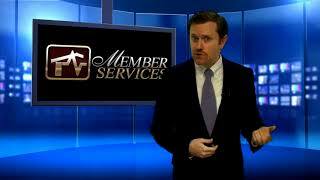 Your own personal liaison to assist you with your service and Membership needs. Access to our exclusive Member Services site. Schedule service by selecting a two-hour time frame that is convenient for you! Learn more! Private, Member Appliance Center with a low price guarantee, no charge for standard delivery and installation and private appointments. A Service Agreement covers (1) one of each of your major appliances and (1) one air conditioning system. Additional equipment can be covered. Become a Service Agreement Member today by speaking to one of our representatives or get an Instant Quote. Learn about Home-Tech’s GOLD and Silver Service Agreements in our videos. Our Members agree that a Home-Tech Service Agreement offers true value. See how a Service Agreement pays for itself! ► AC Clean and Check - Included! For the budget minded person. We love the peace of mind! Actual calls from Home-Tech customers about their Service Agreement which covers AC and major appliance repairs with no charge for service call, parts and labor. The technicians act like owners and not employees. Home-Tech leads SW Florida in AC sales, installation, and maintenance. *Excludes Water Heaters. **Minimum Service Call Fee Applies. Some Restrictions Apply. Some restrictions apply. For promotional use only. Please see official Service Agreement for details. We offer 2 hour time frames for the arrival of your technician. With our GOLD plan, for one low annual fee, you get a premier level of service, unlimited service calls, parts and labor coverage, emergency service (7) seven days a week (including on holidays) and an annual air conditioning Clean and Check, and so much more! Home-Tech SILVER gives the same coverage for a lower price. All you pay is our minimum service call fee each time a technician makes a trip to your home. For additional equipment needs you can add many valuable options to your Service Agreement. 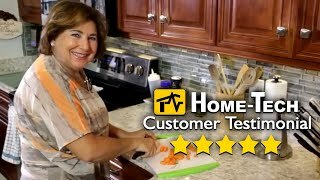 Home-Tech customer testimonials about the service they receive from Home-Tech technicians. 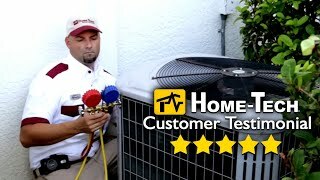 Home-Tech leads SW Florida in air conditioning, appliance, plumbing and electrical service. Home-Tech is an employee owned company specializing in Service Agreements for air conditioning, appliance, plumbing and electrical repairs. Home-Tech Service Agreements are a popular way to save money on appliance repairs, ac repairs, and plumbing and electrical repairs. NATE certified technicians. A Service Agreement with Home-Tech brings peace of mind, knowing who to call for repairs of AC and major household appliances. Our Home-Tech Service Agreement is one of the best investments we have made since moving to Florida 15 years and 5 houses ago and one of the reasons that I recommend Home-Tech. Thanks to Home-Tech for all that you do. It is sooooo comforting to know that Home-Tech’s awesome service people spring into action – competently, politely, and quickly – whenever I need them. Get yourself a contract and put your mind at ease! We have home warranty with Home-Tech. A/C was out when we got home yesterday. Called, within the hour they were out here. They ordered the part, was out today and had us up and running and no charge. We’ve always been so pleased with Home-Tech!